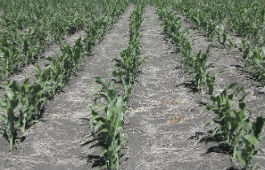 Forage and fodder crops include forage sorghum, pennisetum, millet, lablab, cowpeas, soybeans, grain sorghum and maize. Choice will depend on sowing time and feed quantity and quality requirements. Other factors such as soil type, drainage, weeds and disease may also need to be considered. The agronomy and management used can have a greater influence on the crop productivity than the variety chosen.